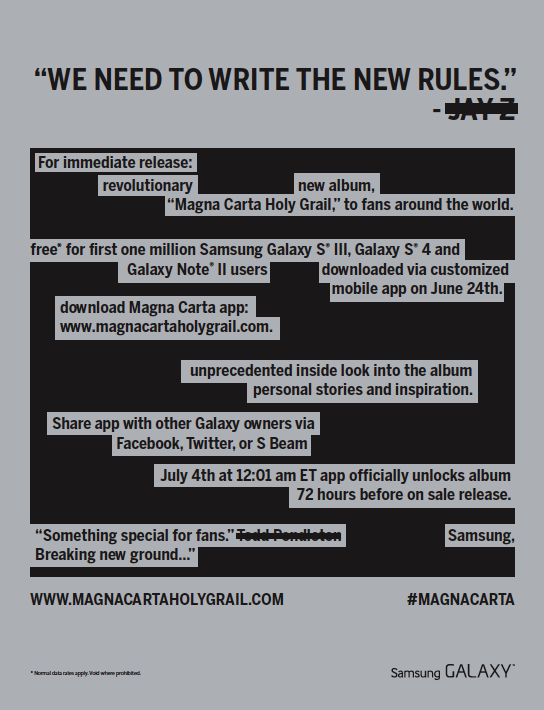 During a new Samsung commercial, which played during last night’s NBA Finals Game 5 (Miami Heat vs. San Antonio Spurs) Jay-Z, reveals a new album titled Magna Carta Holy Grail will arrive on July 4. 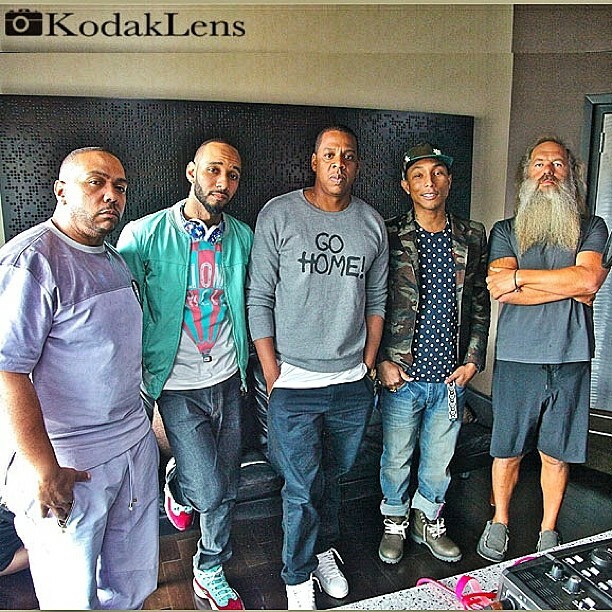 The video features extraordinary minds including Timbaland, Pharrell, Swizz Beatz, and Rick Rubin. Although the video is just a teaser, it gives us something to look forward to. The first million fans with a Samsung Galaxy S III, Galaxy S4, or Galaxy Note 2 to download the app on Google Play June 24th will receive the album for free on Independance Day, 72 hours before the public.